Works US, UK, Sweden, Norway, and Finland. Platform Works on all phones! The Bottom Line: Lociloci is a simple and great service for keeping track of your teens and family members, without the feeling that you are spying on them. Since Lociloci uses only cell-towers the position is more area-based than for example Find My Friends and Google latitude who uses GPS tracking. Major advantage is that it works on all phones and is super-easy to use – even for non-tech savvy individuals. At the moment limited to the following countries: US, UK, Sweden, Norway and Finland. 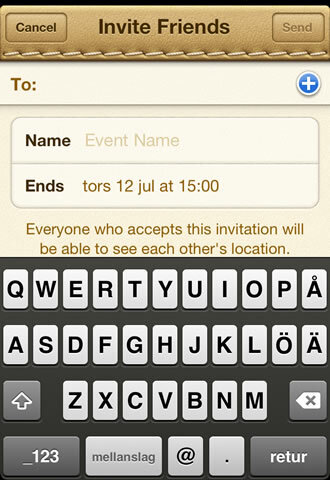 Simply write the number and name of the person you want to invite, click send to invite. The person will then get a text message to the phone asking for consent, and can accept by replying to that message. 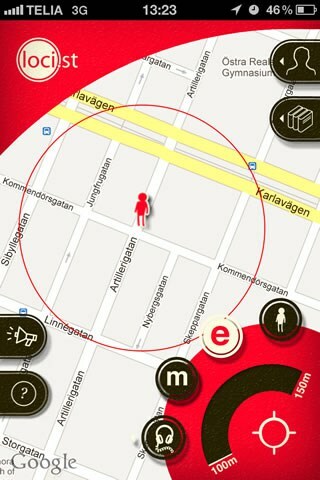 Lociloci has a really simple system for temporarily hiding your location. Simply send a text message with either HIDE or SHOW to the same number as you got the invite, and your location is either hidden or shown. Beautiful and simple design. Almost as good as Apple’s Find my friends app. Really good, you have to register and provide personal information (like your cell phone number and email), but they keep your personal information confidential. 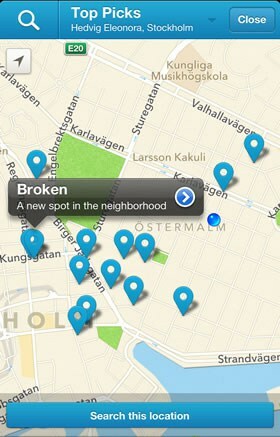 Try for free, then $5.99 / month to locate unlimited number of phones. Free trial. Upgrade to get more locations. 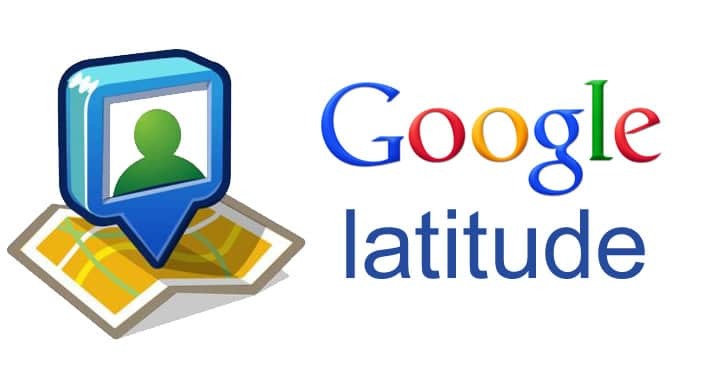 Please note Google Latitude was retired on August 9th, 2013. You can no longer see Latitude for iPhone or Android. We recommend you check out the alternatives to Latitude on this page. If the whole family has Android and you don’t mind putting up with installing, configuring and playing with Google Latitude app and it’s supporting apps to get the best possible phone tracking abilities with best possible location accuracy, Google Latitude may be right for you. However, if you are looking for convenience and ease of use across all platforms, look elsewhere. 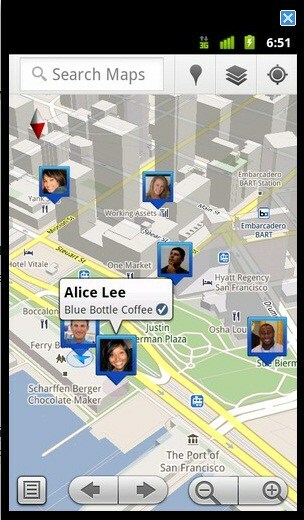 Google Latitude is an application developed by Google which can help you locate your friends and family. The basic idea around which this app had been developed was based on many other location sharing mobile apps available at that time. There can be a number of different purposes for which you may want to use Google Latitude. In a modern and well connected world with smartphones available to all, we are more connected to our friends and family members for better safety, accessibility, and time saving. Google Latitude, a simple cell phone tracking application, is just aimed to help you give you answers to the questions “Where is my friend right now? Have my kids arrived to school? etc.”. 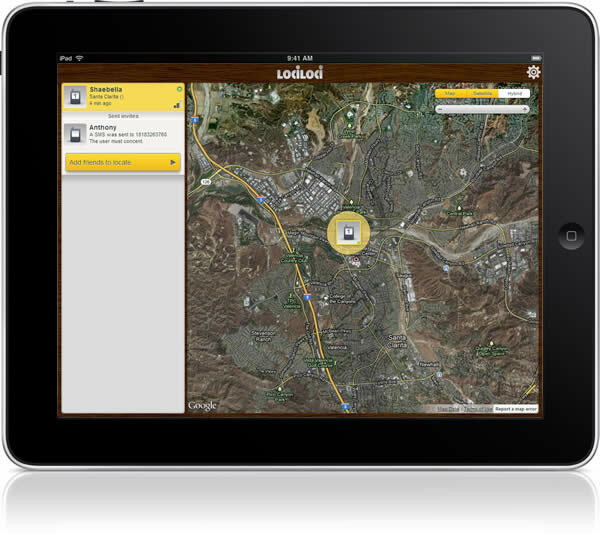 Accuracy of the location tracking apps has always been a serious cause of concern. One thing that we always tend to forget is dependence of a cell phone tracking app’s accuracy on the smartphone’s GPS system. 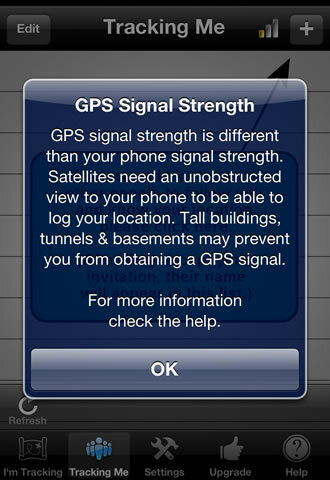 Some phones do not come with accurate GPS systems which can result in approximate locations shared. A low quality phone is nothing to blame for inaccuracy of Google Latitude. However, when you are running Google Latitude as a background service, it drops into lower precision mode, thus compromising on the accuracy of the location shared. Also, don’t forget that GPS doesn’t work so well indoors or in poor weather conditions, but evade that Google Latitude may use some time Wi-Fi access points and cell tower data to get the location. Ever since the launch of Google Latitude, it has been improved a lot. The availability of Google Latitude has also been ensured on all smartphones running various mobile operating systems like iOS, Android, and Blackberry etc. In other words you can track your friends or familys phones, whether they have iPhone, Blackberry, Android (any Android) or even some Nokia phones. There are no guarantees that it will work with all phones, but as long as you can get the app installed on the phone you want to track and it has a GPS, it should work. Bear in mind, if you want optimal location tracking, it is preferable that those who you want to track have the latest Android phones. This is the majord advantage of Google. Google has always been known for offering simple to understand Google Maps. Therefore, Google Latitude is no exception to that rule. The screen of the app is very much self explanatory without the need to go through a lot of hassle. There are a lot of shoddy cell phone tracking apps that become very slow once you are sharing your own location data and simultaneously receiving data of your friends. However, Google Latitude does not seem to be bogged down by this problem and the app works just fine even when you are have large chunks of location data exchanged. The screenshots below will give you a better idea of how things will shape up once you use Google Latitude on your smartphone. This is how your friends will look on the map once you are getting their information. 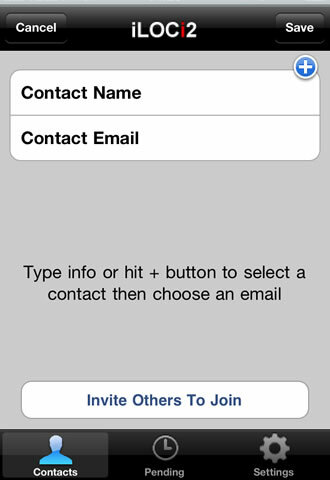 The screen allows you to select with whom you want your location to be shared. You can check in to see where your friends have gone to by just looking at the historical map location data. The design element is hinging on simplicity. All the maps are cleanly laid out so you do not have any problem seeing your friends’ locations. The good thing is that even if you have too many friends on your radar, you will still be able to get hold of their locations, without messing up. The setup for privacy is also not jumbled up to make things really simple. The setup options are pretty easy to understand without any sophistication involved. I would say Apple’s Find my Friends app has a slightly better design, and no wonder why, it’s Apple – but Google Latitude is good enough with it’s simple interface. 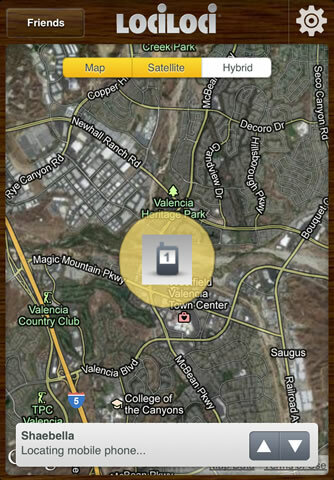 Privacy is one of the main concerns in downloading a location tracking mobile app. Google has provided enough privacy controls to ensure that you only share that much privacy with the users which is necessarily required. You can set your location to city wide to ensure that your friends do not know your exact location but your proximate availability in a particular city. You can also choose to block background updates; this will help you save battery life. 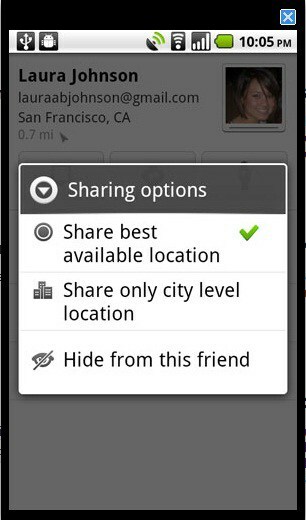 Lastly, you can also choose not to share your location with anyone at all. As of now, Google Latitude is free to use. The app is free so there are supposed to be no refunds. As for the guarantees, you can see the terms and conditions that we always agree to once we use to any application or software. Works Works in all countries. Internet coverage necessary. 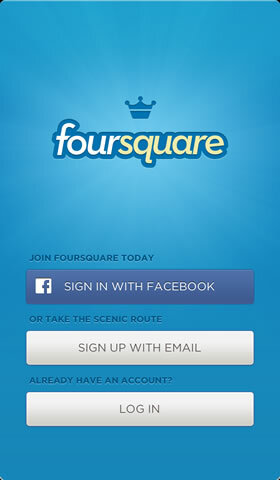 With Foursquare you are able to check-in to all the spots that are visible on the map for your area. 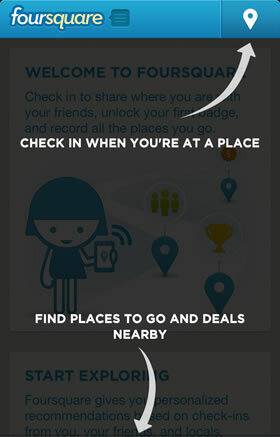 However that makes it possible to check-in to a spot fairly far away from your actual location. The app claims to have “Check-ins” from over 200 countries, so according their information the app is global. However, you need internet coverage in order to check-in. 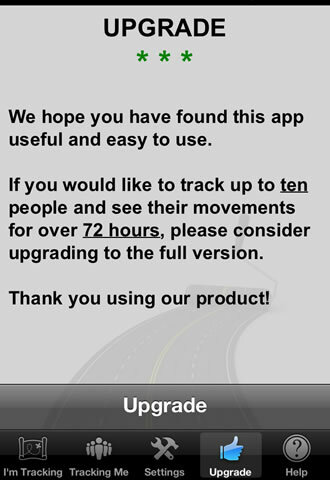 I must say this app surprised us; it was a lot better than the other phone tracking/sharing apps. We are a bit skeptical to the concept of check-ins, but a lot of people seem to enjoy it on Facebook. The “Check-In” is simple and easy to use, you can also click on the places in your area and see what others have said about it. You can choose alerts when you’re passing by fun stuff or one of your friends is in your area, a lot more interactive than the Facebook “Check-in”. You can also like pages you are interested in to get latest information and location ideas. Really cool concept we hope it grows! The design is pretty cool and yet functional, it definitely has a juvenile touch to it, targeting the teenage audience. You can choose how much you want to check-in. Works Works in all countries. 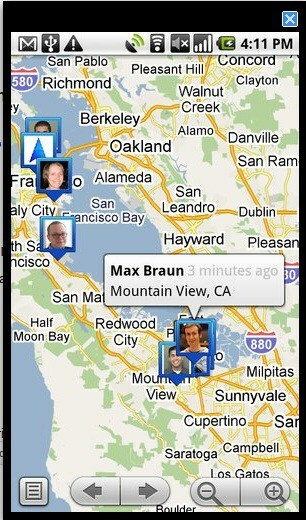 The Bottom Line: If you want to locate your friends that also have an iPhone 3Gs or better, this app is for you. 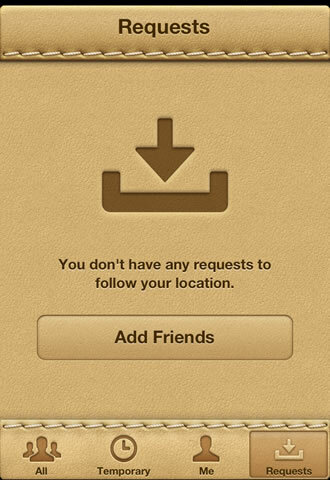 Apple says: Find My Friends enables you to locate iOS devices only when they are on and connected to a registered Wi-Fi network or have an active data plan. Translation: You need internet coverage such as Wi-Fi or 3G coverage for the app to work. If you turn off the “Enable 3G” and the “Cellular Data” you can’t connect to Find my friends. Apple says: iCloud requires iOS 5 on iPhone 3GS or later, iPod touch (3rd and 4th generation), or iPad; a Mac computer with OS X Lion or later; or a PC with Windows Vista or Windows 7 (Outlook 2007 or 2010 or an up-to-date browser is required for accessing email, contacts, and calendars). Some features require a Wi-Fi connection. Some features are not available in all countries. Access to some services is limited to 10 devices. Translation: You need a new Apple device to use this service, so go and buy a new one if you still have one of our early devices. We found that Find my Friends delivered really good accuracy of about 10-15 meters during our tests with full 3G coverage and a fairly good Wi-Fi access. Apple has chosen to not answer how accurate their service is, by searching for a while in their Apple community we got this answer “It can be as accurate as 10 meters”. With Find My Friends you can hide your position; however you can’t tone down the accuracy and show a less accurate location. According to an article at the Apple Insider in March 2012 Apple is currently working on improving the privacy with variable location precision. This app works in other countries even if you have Data roaming turned off but have access to WiFi. Big minus is that it does NOT work on other phones than iPhones; you can’t track any other brands. (On the other hand this is typical for Apple). Simple and elegant application. Works with the phones notifications, the person invited gets a notification directly in the phone and can accept directly. 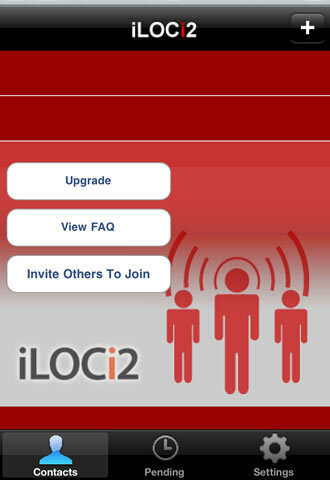 This app is also compatible with Siri on the iPhone 4S or iPhone 5. You only have to ask “where is my brother” and you will get a position of him directly on the phone (if you have a brother that is). Elegant and simple design as always, however the design varies a lot from Apple’s other apps such as the Find My iPhone and iBooks. Apple has probably chosen leather and stitching to make it look friendlier and warmer contrary to the clean and stiff design as their normally use. Works Works in all countries. You only need internet coverage. 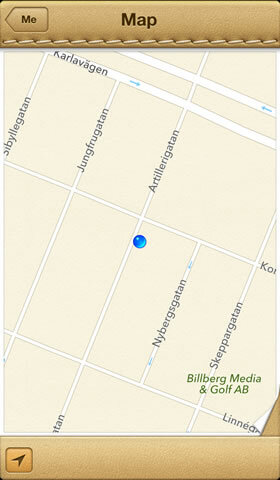 Fairly good, the app uses the GPS of the iPhone. You can also choose what accuracy you want to list your position as. However the “person in the center” is positioned with GPS so the accuracy of that position is often 5-10 meters off in bigger cities. When you choose an accuracy of 800 meters for example the circle around gets bigger, though you can still zoom in on the center. The icon gets smaller and therefore shows the exact location anyway, a programming fault that makes the accuracy setting useless. Available on the iPhone only. The app is more similar to the “check-in” feature that already exists on Facebook and you are meant to share your location with your friends only. It is hard to position friends that don’t like tweeting and updating every second, therefore this app is hard to use in a passive positioning sense where you want location data constantly to be coming in (i.e. real-time location data). Looks really good and professional; it looks like the developers have spent a lot of time and money developing this app. Big plus for that. The homepage looks a lot better than the personal page which looks very much like a BETA version compared to the rest of the app. The icon/personal image is pixelated and looks terrible. It ruins the look and feel of the rest of the app. Not relevant since it is free, they have a “Terms of service”. GPS Tracker, Tracker (Lite), & "Tracker"
The Bottom Line: GPS Tracker, Tracker (Lite) and Tracker are three different apps on App Store, however they are all the same! I couldn’t locate my own iPhone with any of these. Note these are three different apps on App store, however they all look the same under the hood and the same activation code works for all. Though I only received a code from 2 of them (same code). 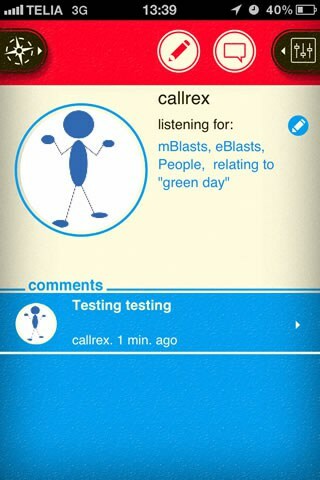 We couldn’t locate ourselves with this app, so none. It took a day to receive the login information and after that I still couldn’t position myself. 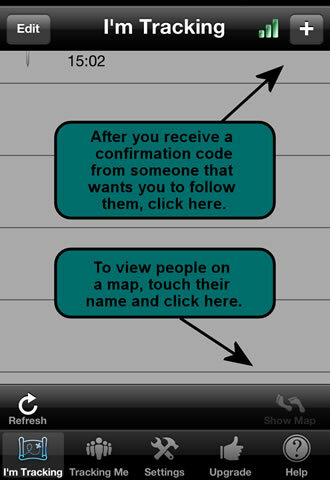 Then if you like to see a friend they have to send you their registration code in order for you to see them. Pretty weird. The design is functional and not very pretty. You need to give out your email for registration. The Bottom Line: Uncertain since we didn’t get it to work. Doubtful if it works for anyone for that fact. Couldn’t get any positions of my own phone and those I invited. Extremely bad test-version, not willing to spend my money on this one. Not certain, since it didn’t work for me. Free test-version, not worth getting the upgrade.